As if getting married isn't enough of a big deal, many couples choose to make other life changes after their wedding. It’s no question that getting married is obviously a life-changing event. But for some brides and grooms, getting married is just the start of a series of huge changes. After your wedding, you might feel emboldened to do things that might have seemed way too drastic during your unmarried days. 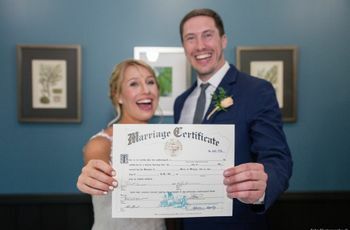 Whether it’s the security and stability of marriage or simply the fact that you’re kinda bored after a year or so of wedding planning, you might consider some of these major life changes after your wedding. Our advice? Take time to think over any big decisions post-wedding and make sure you’re not being too rash. Check out these major life decisions you might consider after your wedding, and make sure you clearly think them through. 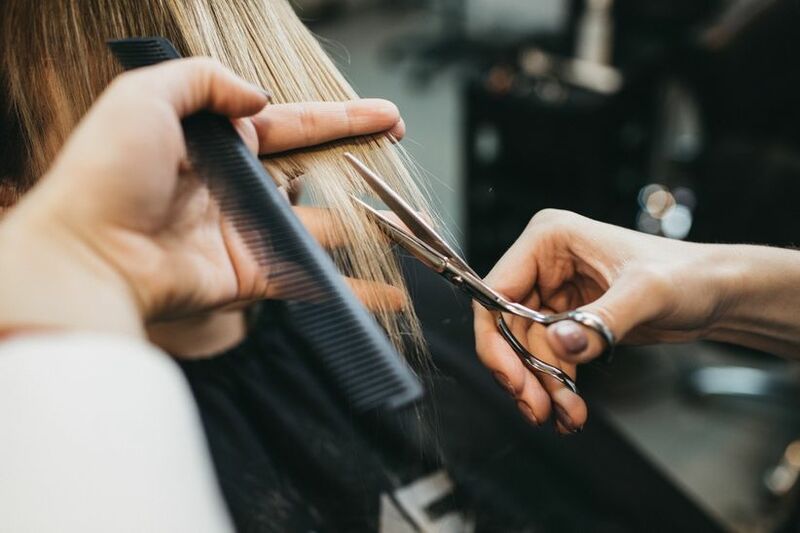 You’ve probably already heard of the “post-wedding chop,” when brides opt for a drastic haircut shortly after their big day. If you’ve been growing your hair out pre-nuptials, getting a short haircut after your wedding might feel freeing and easier to maintain. You might also opt for a new hair color to really make a change. And if you’re not into cutting or coloring off your hair, you might opt to switch up your makeup look or be more adventurous with your outfits. After all, your spouse will think you’re gorgeous no matter what, so you might feel more confident about making a change! Our advice? Go for it! Even if you end up hating your new hair or makeup look, these things are only temporary and you can always go back to your previous style. Perhaps you’ve been frustrated at your job for a while now, but just wanted to use your PTO for your honeymoon and now are ready to say sayonara. If your new spouse is gainfully employed and you’re able to survive on a single salary (and you can get on his or her health insurance), you might be tempted to quit your job ASAP. However, it’s always a good idea to have a new job lined up before leaving your old one, so if the job sitch is bearable, we recommend getting your resume out there and interviewing before giving your two weeks’ notice. Back in our grandparents’ day, couples waited until after the wedding to move in together. 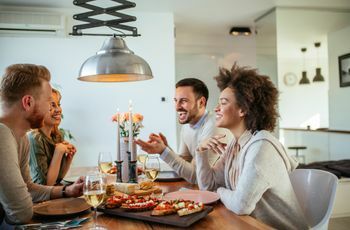 Now that many couples are living together before marriage, their living situation might not change too much after the big event. However, couples looking to make a major post-wedding change might consider moving to a new city after their big day in order to make a fresh start. There are lots of reasons to move—from new career opportunities (see above) to being closer (or further away!) from family to simply experiencing a new location, and much more. Moving is a major decision and not one to be made rashly. We recommend waiting until after your wedding to make a firm decision on whether or not to move, and give yourself plenty of time to make sure that your new city is a good fit. If you and your partner have been renting for a while (or living separately), you might feel ready to set down more permanent roots after your wedding. Buying a house is a huge deal and you should make sure you’re financially ready to take such a big step. Plus, you’ll want to be pretty positive that you’ll be happy in your current city for the long haul (see above if not). Sure, we’ve all seen those old movies where couples step into a new amazing house immediately after their honeymoon, but that’s just not reality these days. Finding the perfect home takes time and it might be too much to balance wedding planning and looking for a house (not to mention work!). If you can wait until after your wedding to start house hunting—and be prepared for it to take a while—you’ll save yourselves a lot of stress. Was one of your ‘maids or groomsmen a total pain during the wedding planning process? Were you tempted to “fire” him or her from your wedding party but held back in order to keep the peace? Now that your big day has passed, you might be done playing nice. While it’s never easy to distance yourself from a friend, you have your own sanity to consider. You do have some choices in this situation. You could have a frank and honest discussion with your friend (no yelling!) and try to work things out, or just keep your interactions with this person to a minimum. Having a baby is a HUGE life decision. You might feel ready to start a family right after your wedding (hello honeymoon baby!) or you may want to take your sweet time. You and your partner might also not be interested in having kids at all—and that’s okay. No amount of family pressure should sway you—this is a decision between you and your spouse to be made well in advance of your wedding day. 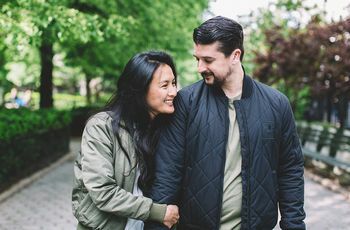 In fact, it’s one of the decisions that can really make or break a marriage, and we really recommend having a frank conversation about your desire to start a family (or lack thereof) before you’re even engaged. 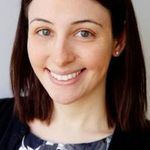 Sneakily stopping your birth control before the wedding and hoping for the best isn’t a great idea—you and your partner should be on the same page as it pertains to when you’ll both be ready to start trying to welcome a little one into your lives.